How do I print a free shipping label? 1. Enter your buyback number and the email you submitted with that buyback. Once you've done that, click on "Track Buyback"
2. 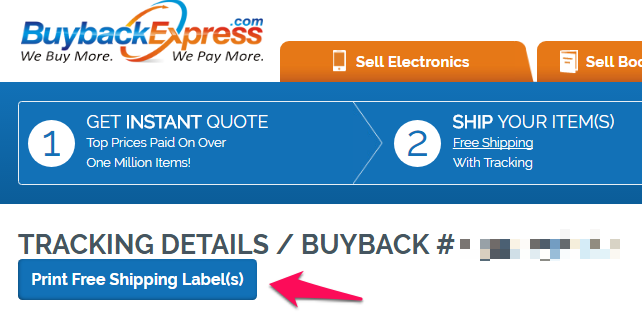 In the top left, click on "Print Free Shipping Label(s)"
3. 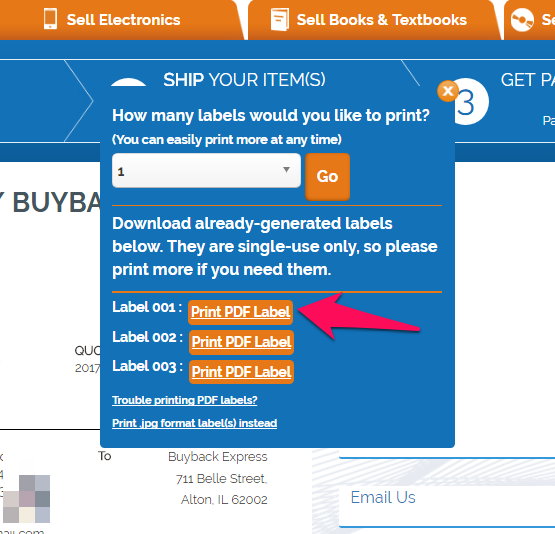 Click on "Print PDF Label"
4. You can then find your label - in PDF Format - in your Downloads folder.